Xoar PJN is one of the world's first wooden propeller for Electric Motors. 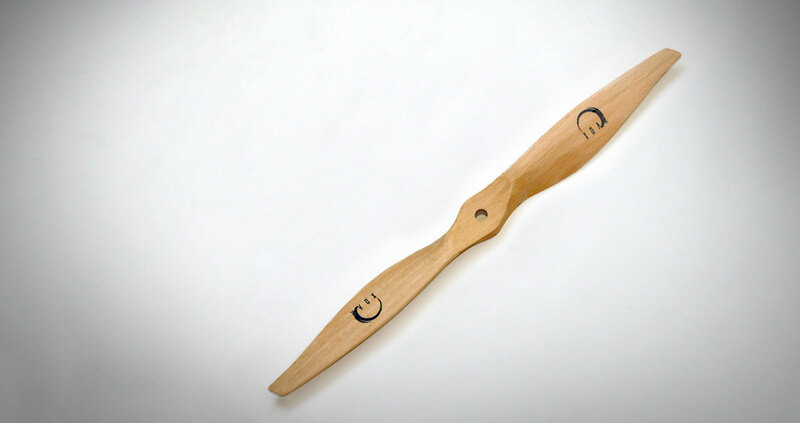 Xoar PJN Beech wood propellers are made to the highest standards by combining excellent craftsmanship and technology. Xoar PJN is specially designed and manufactured for electric flights using premium German Beechwood for excellent physical property in elongation, breakpoint and distortion rate ensure by its heating process in order to provide a strong propeller but light in weight. The unique aerodynamic blades are shaped to produce the high efficiency and stability when compared to plastic propellers available in the market. Each Xoar PJN Propeller is handcrafted to maintain excellent static and dynamic balance in order to minimize vibrations which in turn produces high efficiency. The light-weighted propellers put less strain on the electric motors and yield accurate performance in maneuvers by spinning up and slowing down in a speedy manner. Xoar PJN also offers an amazing flight endurance when compared to plastic props due to its strong blades and light weight. Each Xoar Prop is manually finished to reach perfect surface smoothness and balance after CNC processing. During the coating process, 2 layers of primer coating and 2 layers of glossy protective coating are applied in order to prevent corrosion. Once again, each of the Xoar prop is manually rebalanced. Spot check was performed to each batch by randomly selecting a number of props and put on actual engine for rotating balance and quietness check. Xoar PJN Beechwood Propeller for Electric Motors is the best choice for all regular electric flyers and 3D flights who are looking for accurate and responsive flight performance. Moreover, Xoar PJN props come in a full range of specs from 9" to 28" diameters. For those who are always looking to push the envelop in excellence, try our PJT-E Carbon Fiber Propeller for Electric Motors. You'll be amazed how technology helps Xoar to push ourselves to go beyond excellence. For F3A flights, Xoar also has a Beechwood series and Carbon Fiber Series dedicated to F3A flights.